From basic lawn maintenance to high-level landscape design, LGM Landscape & Irrigation, LLC's the company that does it all. Raw and elegant, there's nothing like stone to pull a yard together. Hire us for your Destin, Miramar Beach & Santa Rosa Beach, FL hardscaping. For a low-maintenance lawn option that's as versatile as it is beautiful, choose synthetic turf. We sell and install synthetic turf for both residential and commercial use. Does your yard or property look breathtaking...in a bad way? If you're tired of staring at your lifeless grass or your unkempt plants, LGM Landscape & Irrigation, LLC can help. We offer comprehensive landscaping services in Destin, FL and beyond. Whether you want synthetic turf for your golf course or a new irrigation system for your lawn, you can count on LGM Landscape & Irrigation to take care of it. Call 850-714-4858 today to learn more about our landscaping services. You can meet with our landscape designer in the Destin, FL area at your convenience. As an authorized dealer for Synthetic Turf International, a top-rated artificial grass manufacturer in Destin, FL, we can give you the best possible deal on synthetic turf for your commercial space. 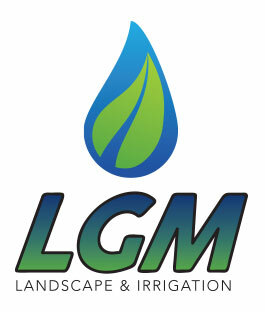 LGM Landscape & Irrigation, LLC is a full service landscape and irrigation company with over 15 years experience. The Team at LGM Landscape & Irritation, LLC has the knowledge to design, install and maintain all of your outdoor needs. At LGM Landscape & Irritation, LLC, we take pride in producing some of the best thought-out landscapes for both commercial and residential properties in NW Florida, including Destin, Miramar Beach & Santa Rosa Beach. We are licensed in multiple states for irrigation, including installation, pump repair, audits, hydraulics and backflow prevention. Our goal is meeting our clients' needs by providing the best product, while staying within a given budget. We look forward to the opportunity to give you a better result, increase your property value and decrease hassle at a lower cost. Contact us today for your free estimate on your Destin, Miramar Beach & Santa Rosa Beach, FL property! If you're looking for a skilled landscaper in Destin, Miramar Beach or Santa Rosa Beach, Florida, you've come to the right company. LGM Landscape & Irrigation, LLC can create an exquisite space that you'll enjoy for many years to come. Call LGM Landscape & Irrigation, LLC at 850-714-4858 for a free estimate on your landscape, synthetic turf, or irrigation project in Northwest Florida and surrounding areas! See what our clients are saying about our work! After going through several lawn care companies, I finally found LGM. Trey, the owner, personally came out to my home and thoroughly went over what he could do to make my lawn look amazing. That is just what he did! It looks amazing! I couldn't be happier with the way it looks now and with the service I get from his team. Thanks LGM! Very professional and extremely knowledgeable about different plants that grow well in our hot climate. They installed out irritation, Sod and plants. I couldn't be more pleased with the way my yard looks! I would definitely recommend LGM! Copyright © 2019 LGM Landscape and Irrigation, LLC, all rights reserved.